What’s a great way for an agent to pad their wallet? Easy, sell groups. And who better to sell groups to, and get help from, than Sandals Resorts International? Booking a group with Sandals has never been easier. The magic numbers are 5 and 3 – five rooms, three-night minimum, reports assistant editor, Greg Coates in this week’s Travel Courier cover story. 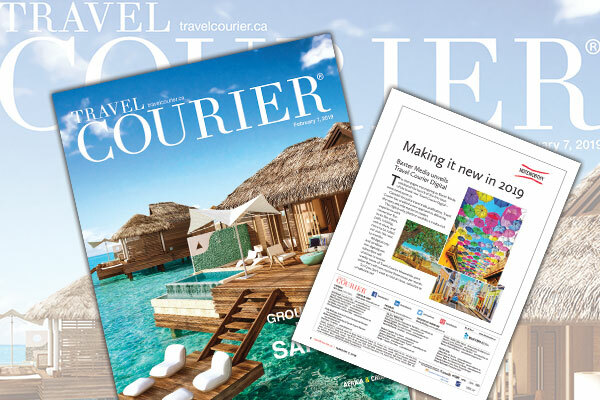 Grant Lawlor, national groups manager, Unique Vacations Canada Inc., told Travel Courier that booking groups with Sandals is easy and lucrative for agents, and noted that it often leads to repeat business. And the benefits of group travel can be numerous: sixth or 12th free room credit, Club or Concierge upgrades, Butler upgrades, complimentary cocktail receptions with hot and cold hors d’oeuvres, group portraits and complimentary group dinners. Beyond the traditional Weddings & Honeymoons and MICE (corporate meetings and incentive) groups, Lawlor said extended family getaways and social groups are trending big these days, with social groups being basically anything that doesn’t include a wedding or corporate function. It can be a group of friends or a group of people with shared interests such as tennis, golf, yoga, spa, culinary/wine (think cooking classes) or photography. One thing to keep in mind, however, is that Sandals is a couples resort, so it can’t be 10 guys on a golf getaway. At Sandals, 20% of a group can be made up of singles, so 10 rooms booked, two can be singles. Available Sandals’ activities for groups are endless and can include such things as PADI-Certified scuba diving (and all equipment); Snorkeling trips (and all equipment); Hobie Cats, paddle boards, kayaks; professional instruction for water sports; private offshore islands at Sandals Royal Caribbean and Sandals Royal Bahamian; green fees at golf courses in select resorts; beach volleyball, basketball, pool tables; day and night tennis; fitness centre with state-of-the-art equipment; day and night entertainment, including live shows, motorized water sports at select resorts. Special limited-edition events and experiences centred around six distinct themes, music, culture, sports, culinary, voluntourism and social interests, are also available.